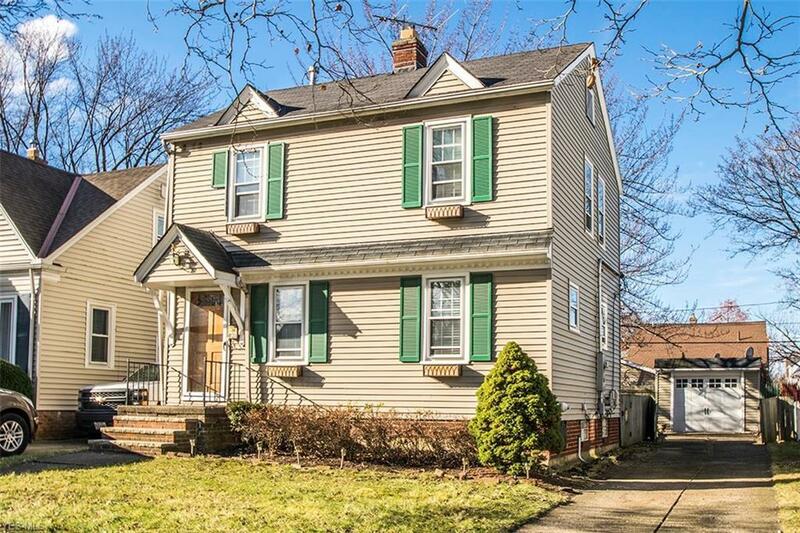 Move right in to this outstanding West Park colonial! Living and formal dining room feature cove ceilings and attractive hardwood flooring! Totally remodeled kitchen with granite counters, breakfast peninsula, pantry and all appliances with open concept to dining room! Upstairs you will discover 3 bedrooms and tastefully renovated bath with ceramic plank flooring, subway tile and granite vanity top! Lower level includes rec rm, ample storage and laundry area! Manageable fenced yard has patio and garage with opener! Warranty included! © 2019Northern Ohio Regional MLS. All rights reserved. Information deemed to be reliable but not guaranteed. The data relating to real estate for sale on this website comes from Northern Ohio Regional MLS and the Broker Reciprocity Program.sm. Real estate listings held by brokerage firms other than HomeSmart Top Flight Professionals are marked with the BR logo and detailed information about them includes the name of the listing brokers. Listing broker has attempted to offer accurate data, but buyers are advised to confirm all items. Information last updated on 2019-04-20.